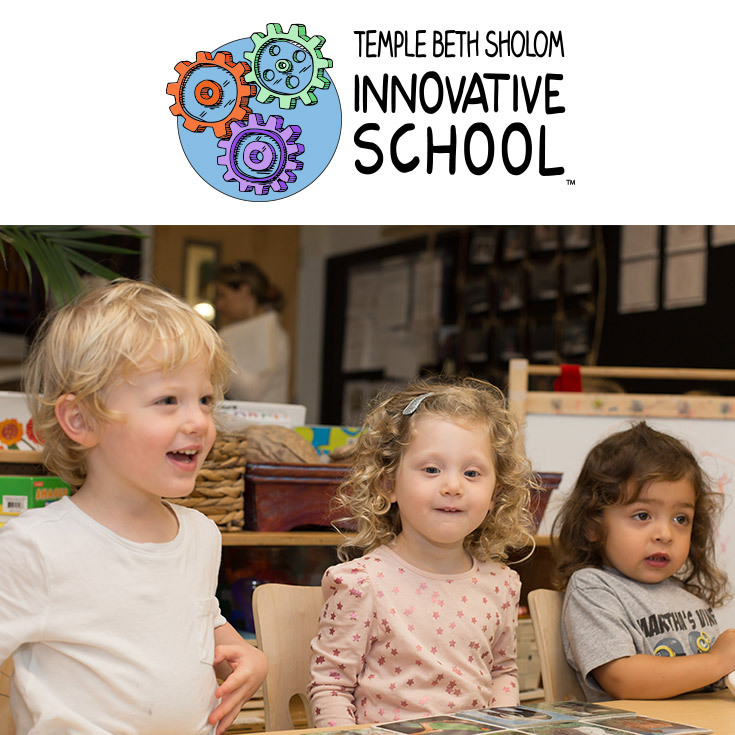 The safety and security of our Temple Beth Sholom community is a priority. We’ve provided an app for our congregation and our school parents. Download the app and follow the instructional prompts. 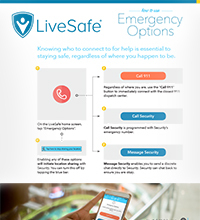 You have the ability to connect through check-in, reporting tips, emergency contacts, GPS tracking, and location identity. Below are helpful resources on how-to use the app and start to protect yourself and our community today! Download the app now! During emergencies, seconds count. 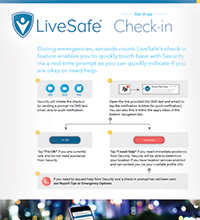 LiveSafe’s check-in feature enables you to quickly touch base with Security via a real-time prompt so you can quickly indicate if you are okay or need help. Click here for how-to check-in. See something? 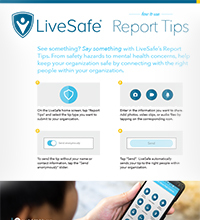 Say something with LiveSafe’s Report Tips. From safety hazards to mental health concerns, help keep your organization safe by connecting with the right people within your organization. Click here for four simple steps to begin reporting tips! Knowing who to connect to for help is essential to staying safe, regardless of where you happen to be. Click here to learn more on emergency options. 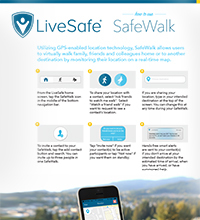 Utilizing GPS-enabled location technology, SafeWalk allows users to virtually walk family, friends, and colleagues home or to another destination by monitoring their location on a real-time map. Click here for six simple steps to protect yourself! Staying aware of your surroundings is one of the key steps to staying safe, regardless of where you are. 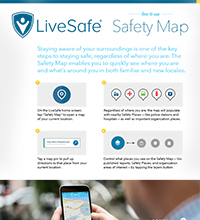 The Safety Map enables you to quickly see where you are and what’s around you in both familiar and new locales. Click here for four simple steps to use the map!